We recommend you call Kulas Maids Inc. if you are looking for the finest cleaning service in Highwood, Illinois 60040. Kulas Maids is your local residential and commercial cleaning service that has been in business for over 35 years. Our cleaning service in Highwood has a reputation of delivering the finest results. For more information about our service, please click on the home page and watch our new video! Kulas Maids wants you to enter a home that is already clean. Our house cleaning service in Highwood allows you to be ensured that you personally will never have to clean again! We strive for customer satisfaction by providing you the best customer service. 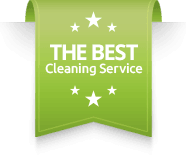 No wonder Highwood, Illinois, residents choose Kulas Maids as their house cleaning service. Kulas Maids is a fully insured and bonded maid service. Our professional maids offer you the best maid service in Highwood! Kulas Maids Inc. uses Green Cleaning products because your health is as important to us as it is to you. We want you to know that we are doing our best to save the planet.